BIRTHDAY: On July 13, 1957, Cameron Crowe, Director of We Bought a Zoo, was born. The obvious choice to observe Cameron’s B-day would have been Zooloretto, a popular family game that has successfully spawned almost a dozen expansions & implementations. Yes, it’s a great game for zookeeper wannabes. 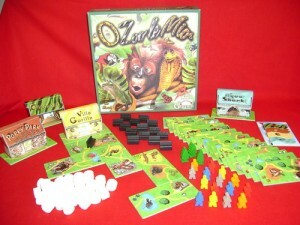 But instead, I’m going to proffer a lesser known, but no less worthy, alternative for budding zoo-mongers: O Zoo le Mio, published in 2003 by Rio Grande Games. It was created by Corné van Moorsel (aka Cwali), one of my favorite designers. Let’s get this out of the way first: “O Zoo le Mio” is a terrible name, no better than the game’s uninspiring original title: ZooSim. The game has nothing to do with singing opera arias to your animals, so I don’t know why that title was picked. In spite of that, the game’s charm is in its colorful tiles and components, which will give players aged 8 and up quite a bit of diversion. As for game play, it combines two popular mechanics: auctions and tile laying. 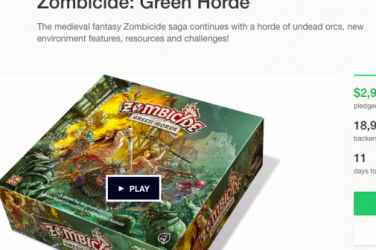 And as a tile game, commenters on Board Game Geek compare it favorably to Carcassonne and Alhambra. Now go out and buy your own zoo, just like Matt Damon did! HISTORY: On July 13, 1977, a 25-hour blackout hit New York City after lightning struck upstate power lines. Designed by Jim Deacove. and released through his company, Family Pastimes. 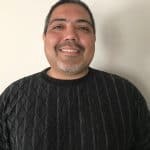 His best-known game is Max, a roll-and-move children’s game from 1986. I have to give Jim credit for attempting this, although the theme would seem to make a much better video game. 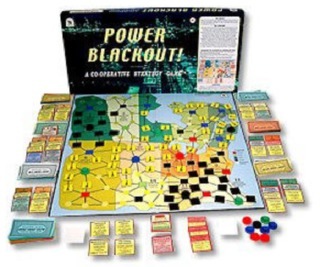 In fact, two games: about repairing the grid, from a technical aspect, and coping with the aftermath of the black-out, from a Grand Theft Auto aspect. OBSERVANCE: July is National Bison Month. There’s a group that’s sponsoring this observance, the National Bison Association. In the same way that I couldn’t tell at first whether Ducks Unlimited wanted to give sanctuary to ducks, or kill and eat them, I couldn’t tell if the N.B.A. wanted to keep the large mammals safe and sound … or kill and eat them. Yeah, they want to kill and eat them. Their website is full of words like “bison burgers, steaks and roasts,” so I think they should just call themselves Bison Unlimited. Now, I don’t mind that at all. Americans both native and transplanted have been eating Bison for centuries. And the Old West-themed games that feature Bison are all about ‘harvesting’ them – and other animals – for their resources, skins, food, etc. One of my favorite games, Dakota, puts the Bison at the top of the resource hierarchy. 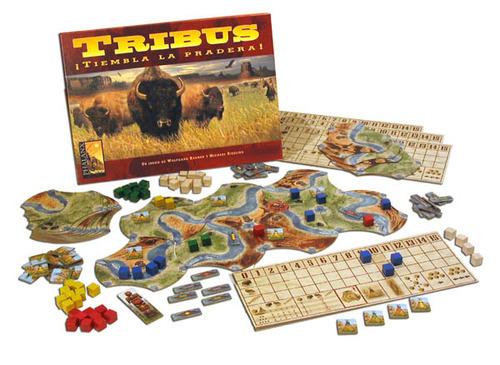 A similar game – and our choice for National Bison Month – is Bison—Thunder on the Prairie (2006, Mayfair Games). In BTotP, players take the part of various and competing Native American tribes. They explore a map, looking to draw animal resources from modular terrain tiles. It’s a pretty good game of resource management combined with the tile-laying mechanic. So, grill a delicious Bison burger to eat while playing. And don’t worry about spilling any grease on the cardboard. Bison is low in fat! Photo of Spanish language version by Antonio Catalán (BGG).